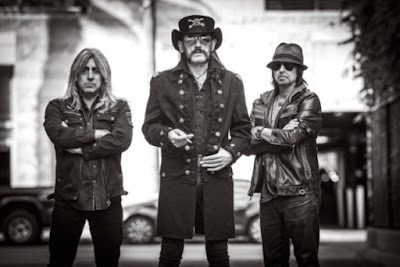 MetalRockNews: Motorhead about Phil Campbell health problems: "Is recovering well"
Motorhead about Phil Campbell health problems: "Is recovering well"
Motorhead guitarist Phil Campbell was hospitalized last week. The band posted an update on Facebook and thanked fans. Motorhead said in a statement: "We just wanted to say a hearty THANK YOU to ALL our loyal Motörheadbanging fans for their support, understanding and community right now. It has obviously not been an easy time and with Phil recovering well, we are all doing everything we can to keep roaring right now. Your understanding and support is golden and very much appreciated. Again, THANK YOU!"